This essay will examine the worldview of those who call Cathy’s statement “intolerant;” this worldview will broadly be labeled “Secular America.” There will not be sufficient space to examine Secular America’s entire worldview, so we will study only the rational basis for morality within Secular America. In a larger context we will see the intellectual bankruptcy of the secular worldview and, hopefully, demonstrate the absolute sufficiency of the Christian worldview as the only coherent way to make sense of this fallen world which we, by God’s grace alone, inhabit. This means secular America approaches the issue of homosexuality from a distinctly non-Christian point of view. The ethics of the proposition are evaluated on some ultimate standard other than God. The faithful Christian approaches homosexuality from a distinctly Christian point of view. The ethics of the proposition are evaluated by God’s standard, as revealed to man in the Scriptures of the Old and New Testaments. Neither side of this debate is neutral; each approaches the issue on the basis of their respective presuppositions. It is difficult to capture the presuppositions of Secular America’s response to the Chick-Fil-A controversy, precisely because this is not an intellectual debate carried out in academic journals. Its effects are felt in popular culture, and statements by public officials claiming to speak for constituents will be examined to determine presuppositions. Broadly, then, Secular America’s presupposition is that culture defines morality. Kenney’s praise for “shedding the prejudices of the past” are particularly revealing on this point. Culture is currently redefining how acceptable homosexual marriage is; this is why Dan Cathy’s comments are so incendiary. Homosexual marriage advocates claim Christians are intolerant and discriminatory. 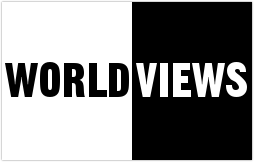 They say this because they look at the world through a different lens; they have a completely different worldview. Therefore gay marriage is moral. Accordingly, Christians view the act of homosexuality as sinful and perverse. The sinner who participates in this conduct stands guilty before God; their conscience bears witness of their sin. Every man is a sinner (Rom 3:23) as a result of the Fall (Gen 3), and all men rightly deserve death because of their sin nature (Rom 6:23). The sinner can have forgiveness for sin only through faith in Jesus Christ (John 14:6), which alone makes men justified before God (Rom 3:24). This gift of salvation is an expression of God’s love for men (John 3:16). God did not send His Son to damn (condemn) people, but that through faith in Him they might be saved (John 3:17). We will examine these worldviews in a later article. Do they make logical sense? Do they line up with what we know about the world and ourselves? Can somebody consistently live out his worldviews in the real world? This is so much more than a dry academic exercise—unbelievers go about their lives each and every day, blissfully unaware of the inherent contradictory nature of their beliefs. The whole creation was produced in a literal six-day event by God Himself, man was made in God’s image, willfully rebelled against His authority and marred God’s perfect creation. The whole account of Scripture is God’s unfolding plan to redeem His entire creation, including mankind, for His glory through Jesus Christ. Biblical prohibitions against homosexuality, and many other things besides, are not based on arbitrary rules from a detached “celestial dictator,” to borrow a phrase from the late atheist Christopher Hitchens. They are reflections of God’s own holy character, which we who are saved by His grace are called to imitate to the best of our ability. This is serious, and Christian must be willing to engage these attacks and call them what they are–a rebellious, selfish desire for autonomy from the God who created and sustains us all. God, by His grace, provided a means of reconciliation for mankind through Jesus Christ. We must speak the truth in love, but we first must be willing to speak out against these brazen attacks against God and pray for those “who knowing the judgment of God, that they which commit such things are worthy of death, not only do the same, but have pleasure in them that do them” (Rom 1:32). 1 Z6 Mag. “Chick-Fil-A Anti Gay Statement: Dan Cathy, CEO Stands Ground on Ken Coleman Show,” Z6mag.com. http://z6mag.com/business/chick-fil-a-anti-gay-statement-dan-cathy-ceo-s…. 08/15/2012. 2 Greg L. Bahnsen and Gordon Stein, The Great Debate: Does God Exist? Covenant Media Foundation, 1985, mp3 # GB 433 & GB 434. “Pretended neutrality fallacy” was a term coined by Bahnsen in his opening remarks during this debate. 3 John M. Frame, Apologetics to the Glory of God (Phillipsburg: P&R Publishing, 1994), 10. 4 Ronald Nash, Worldviews in Conflict (Grand Rapids: Zondervan, 1992), 27. 5 Jim Kenney, letter to Dan Cathy, 25JUL12, retrieved from Kenney’s Facebook profile at https://www.facebook.com/photo.php?pid=10483115&l=c35365aa86&id=12075375…. 15AUG12. 6 Proco Moreno, “Why I Won’t Let Chick-Fil-A in My Ward,” Chicago Tribune, 26JUL12, http://articles.chicagotribune.com/2012-07-26/news/ct-perspec-0726-moren…. 15AUG12. 7 William Mounce, Mounce’s Complete Expository Dictionary of Old and New Testament Words (Grand Rapids, MI: Zondervan, 2006), 2.